Cycling holidays with Cycle Breaks offer a chance to unwind and to discover the more subtle charms of the countryside at your own pace. The holidays come with pre-booked accommodation, top quality bikes, luggage transportation and pre-planned flexible routes with carefully prepared guidance notes. Enjoy the quiet rural lanes, pretty villages and beautiful countryside and stop for a drink or a meal at one of the traditional oak-beamed pubs. 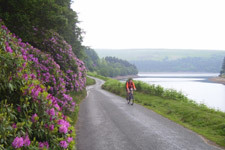 If you have the stamina for more undulating countryside Wheely Wonderful Cycling offers over 50 different cycling holidays and walking holidays throughout the Wye Valley, Mid Wales, Brecon Beacons, Herefordshire, South Shropshire and world famous Ironbridge Gorge. The price of your holiday includes: all accommodation, brilliant routes, luggage transported, quality bikes & equipment. 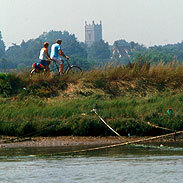 For a short break you may like to try the Cycling and Canoeing Safari - a hit with families. 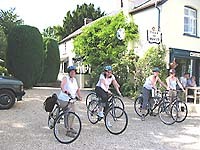 Choose from either guided or self guided tours at Peak Tours Cycling Holidays. Tours are from 2 – 7 days, stay in carefully selected family run B&B’s and country inn’s oozing with character. Routes are carefully planned to take you along quiet country lanes to the many picturesque villages and places of interest. You can carry your luggage with you in the panniers provided or have your luggage transported for you so you can travel light. School and Corporate Groups are also catered for. In the West Country, Fast Tracks MTB offers all inclusive mountain biking tours in the beautiful Quantocks Hills in Somerset. Small group sizes help make the weekends and tours personable and fun whatever your background, beginner or expert. 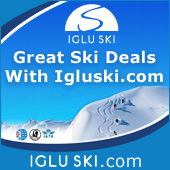 Accommodation and luggage transfer is included. 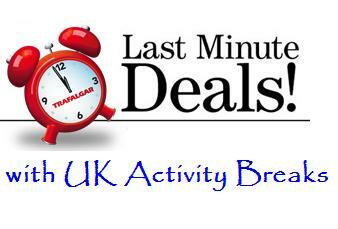 For more information on these and other cycling holidays please click on the link below.